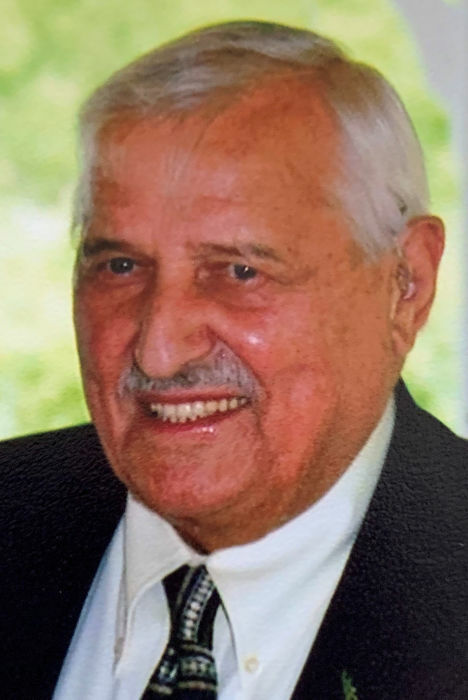 Obituary for Edwin G. "Ski" Pyrzynski | Stone Funeral Home, Inc.
Edwin G. "Ski" Pyrzynski, age 94, of Cheboygan passed away Saturday, March 30, 2019 at his home surrounded by his family. He was born April 2, 1924 in Chicago, the son of Jan and Maria (Czubek) Pyrzynski. On May 21, 1947, while serving on the U.S. Coast Guard Cutter Mackinaw, Ed married Dorothy M. Campbell in Chicago who preceded him in death in 2007, after 60 years of marriage. Ed made a career with the U.S. Coast Guard, serving in the Pacific Theater during WWII before serving on the Mackinaw and many other locations in and around the Great Lakes. He retired from the Coast Guard as Master Chief Boatswain Mate (E-9) in August 1966 after 24 years of service. Ed was Director of Veterans Affairs of Cheboygan County for 25 years while also volunteering service to the Cheboygan Chapter of the American Red Cross over the same time period providing emergency aid to military and community families. He served as President of the Michigan Association of County Veterans and was a member of the Knights of Columbus, Rotary International and VFW Post 3623, where he served terms as Post Commander and National Aide-de-Camp. Ed was instrumental in organizing, and served as committee chairman of the first several USCGC Mackinaw reunions. Ed's fondest memories were boating on Long Lake with his family, cruising on the Great Lakes and up and down the Mississippi River, spending winters in sunny Florida, and his many return trips to Warsaw, Poland with family to visit his mother and relatives. Survivors include his two daughters, Suzette (Francis) Kishman of Cooper City, FL and Toni (Edward) Schneider of Cheboygan, two grandchildren, Aaron Kishman of Cooper City, FL and Leah Kishman of Ann Arbor, his sister-in-law Monajean (John) Sibel of Waterford and several nieces and nephews. He was preceded in death by his son, Henry "Hank" Pyrzynski, and his brother, Henry Jan Pyrzynski. No services are planned at this time. Arrangements are being handled by the Nordman-Christian Funeral Home.